The Hunger Dialogue group is preparing to bring a second Iowa Food Insecurity Summit to Storm Lake, Iowa. 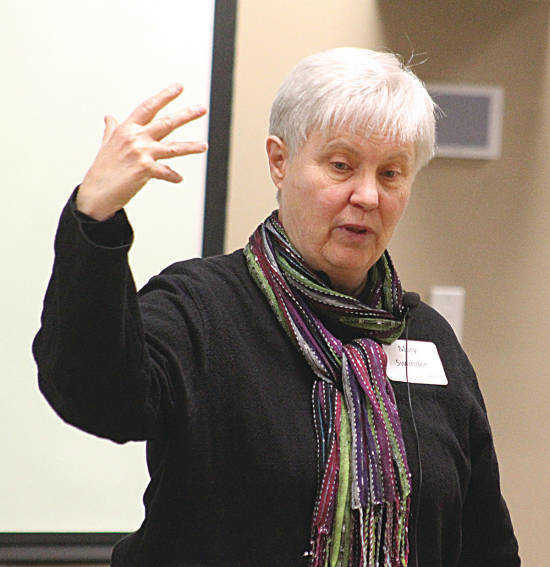 The group spurred the first food insecurity summit two years ago, keynoted by BEI Emeritus Fellow and Iowa Poet Laureate Mary Swander. At that inagural event, held at the AEA building, Swander warned that society had lost its ability to produce for itself. “We’ve become a nation of fast food and junk food,” she said, speaking of the irony of a society that has both a hunger problem and an obesity problem. “The only young people I could find gardening were growing weed,” she said. Involving Buena Vista University, which will treat the summit as an ACES cultural event, will allow more college students to be exposed to food needs and volunteerism. The first summit in 2016 attracted mainly people from agencies involved in food issues. This time around, organizers hope to involve more of the general population. The event is tentatively planned for April 10 at Buena Vista University. Speakers are being lined up.